So, on a Sunday I joined some of my friends to sample their brunch. We met the Executive Chef Mr Chandra Sekhar Pandey, who briefed us in detail about the brunch buffet. They now have a theme for every week and this week the theme for the brunch was coconut – which means that in every cuisine that they offer on this day, there would be some dishes based on coconut. The brunch at Radisson Blu is spread over their two restaurants – Chill and Holy Basil. Totally the brunch can accommodate more than 200 covers. On that particular day, Holy Basil was booked for a private function, so the spread was restricted to Chill. As we were entering the restaurant, oysters and prawns were displayed on a counter to our right. The street food live counter on the left had a range of India’s favourite street food – from pani puris to keema pavs and samosas. 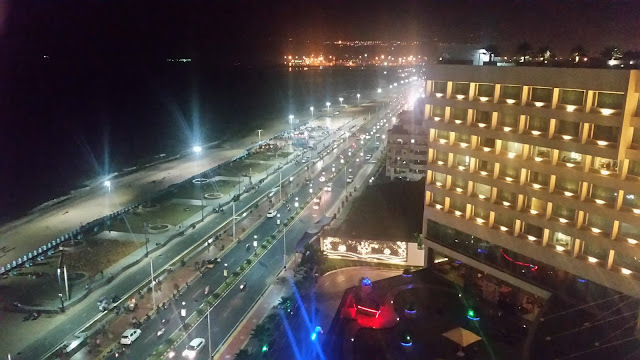 A friend had briefed me about their amazing Hyderabadi live counter serving Bheja Fry, Gurda and other delicacies – but we were told that it is served on alternate weeks, and this was the wrong week. After stepping inside, we went around the restaurant looking at the elaborate spread – an oriental counter, an Indian counter, fruits, salads and desserts. Among the food displayed, I liked the presentation of the Roast Chicken and Slow Roasted Pumpkin and Red Beets. At the Chill Terrace outside, a number of different meats were kept ready for the live wok, the dim sum counter had chicken, prawn and veg dimsums, and finally a live fish counter where about ten varieties of local seafood were kept ready with a choice of six different sauce options including kasundi and Sriracha chilli paste. 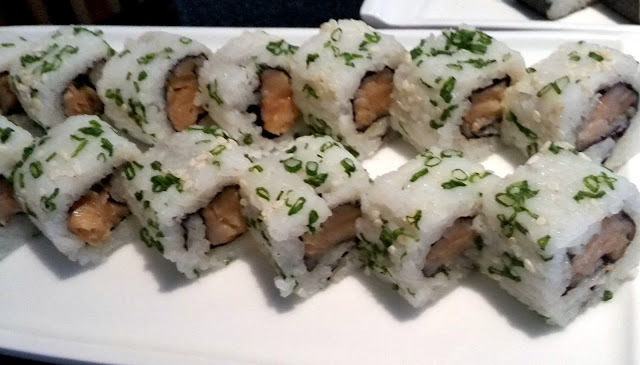 Holy Basil was always known for sushis. Today the brunch had prawn, salmon and veg sushis as well as Prawn Tempura. 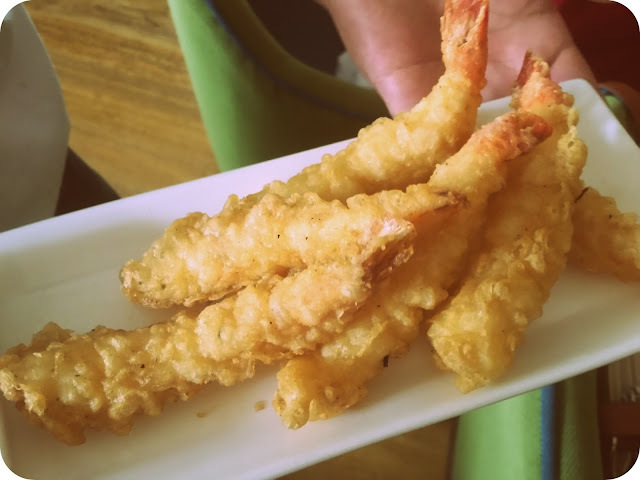 The tempura or batter fried prawns were classy. The prawn sushi was not far behind. 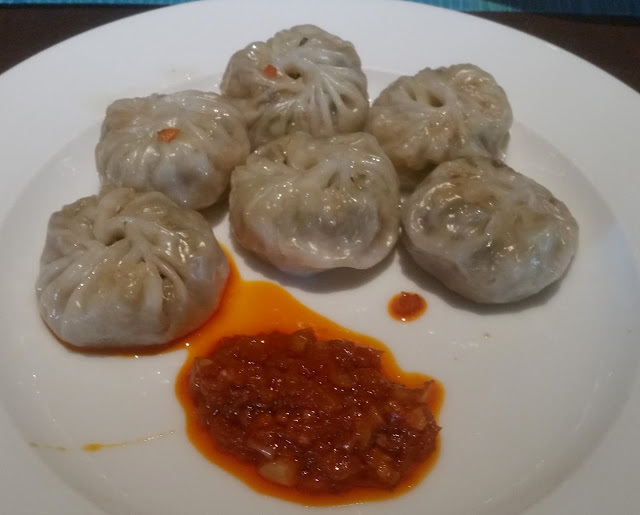 The dimsums however were a disappointment for me as they lacked juiciness. 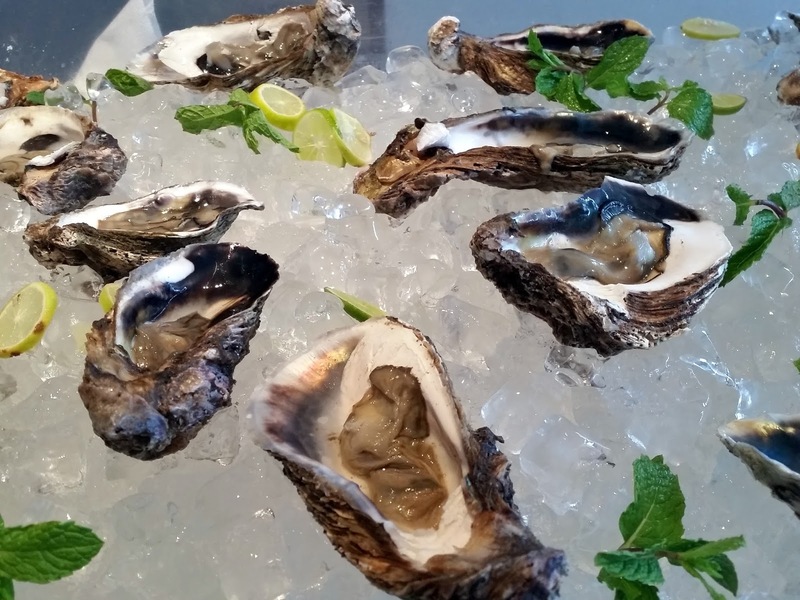 I tried the oysters – it is not for everyone as it has a strong smell of seafood. 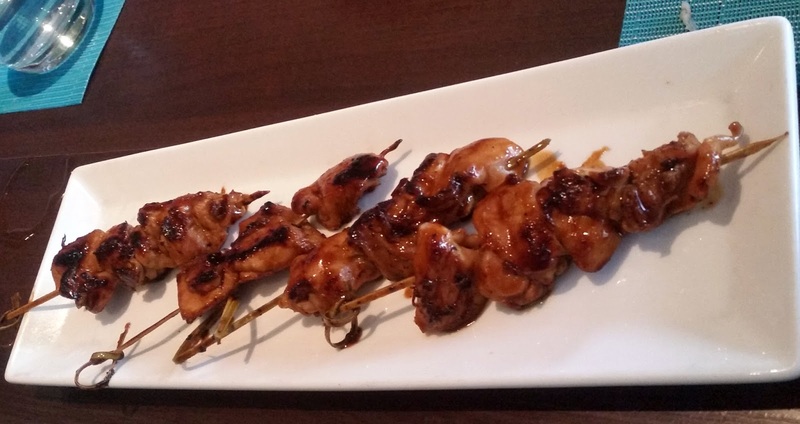 The Grilled Chicken Skewers were spicy – everyone relished them. From the “Taka Tak Tawa” counter I tried the Panipuri and Keema Pavs. The keema pav had a low keema content and the taste had also not come up to the acceptable level. I tasted the paniyarams which some of my friends brought – they were soft and one of the best I had accompanied by some delicious chutney. After this we gorged on some Crisp Fried Bacons. They were delicious. One of my friends asked for a less crisp version and that was also good. 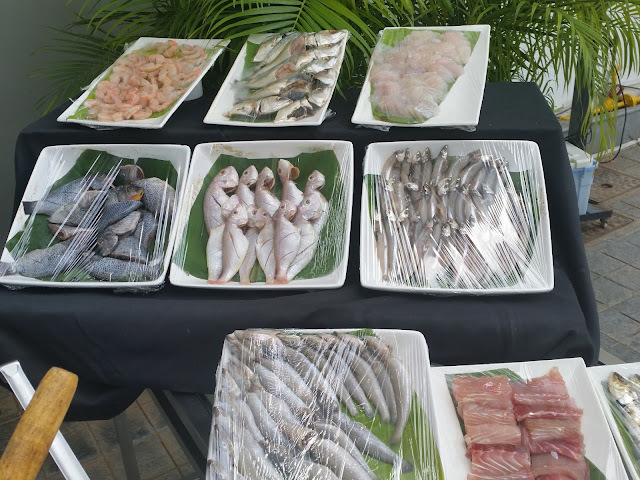 We also had a number of fish items served from the Grill Counter especially the prawns, basas and ladyfish. Some of the items were served with risotto as a side. 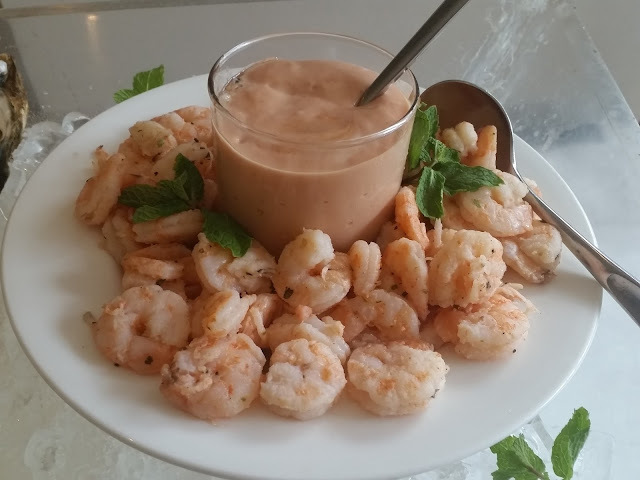 However the grilled seafood needed a little bit more sauce, and more marination to become really tasty. The chef explained that in a live counter since they are providing a choice of multiple sauces, marination was out of question. There were more starters served on the table, where again coconut flavor was added – Gosht Copra Shikampur was soft and had a slight coconut flavor in the mince. Apart from this Machhi Amritsari, Subz Tikki and Tawa Paneer were the other ones. Finally I decided to go for the main courses. 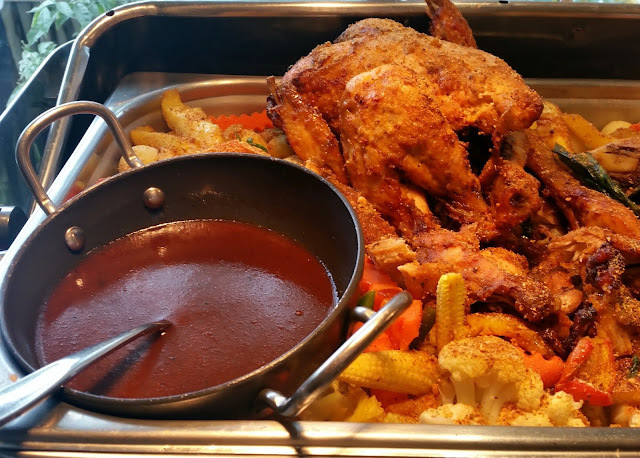 The Sunday Chicken Roast was a winner for me and it became more delicious by adding the thick sauce kept alongside. 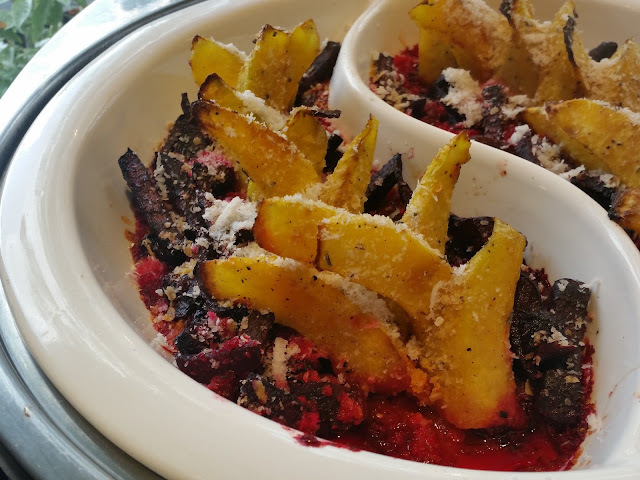 Some of my friends loved the Slow Roasted Pumpkin and Beetroot. The Potla Gosht Ke Raan was another dish which I loved – the lamb mean was succulent and the gravy spicy and nice. Among the other Indian dishes, the Goan Coconut Fish Curry went well with rice, but the Bengali Prawn Malai Kari was surely a disappointment. It did not taste at all like the Bengali dish. Among the vegetarian fare, the Til Nariyal Ka Dum Aloo was distinctly different from the normal alu dums which we see, other items of note were Paneer Naryali and Kopra Waali Dal. The Pan-Asian section had a number of Thai and Vietnamese dishes. There was a noodle dish in coconut sauce (called Creamy Coco Noodles) which went well with the Salt and Pepper Fish. The Coconut and Raisin Rice had a distinct flavor, and the Chicken Penang Curry was quite decent too. As people who are familiar with this blog know, I am not much of a dessert lover. 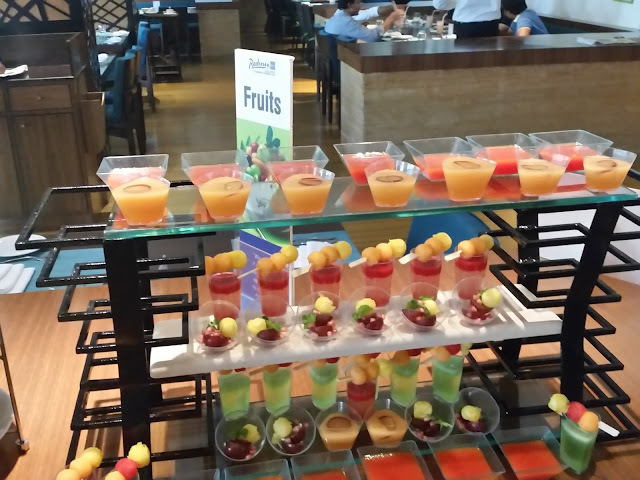 There was a Fresh Fruit and Health Shot Display, from where I tried various fruit juices such as papaya and musk melon. 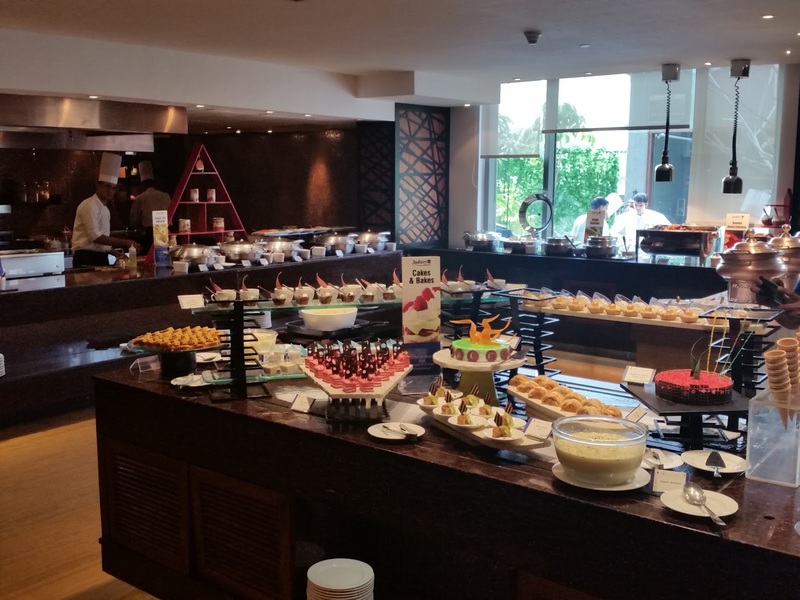 The dessert spread had items like Red Velvet Pastry, Ras Malai, Rasgullas, Mysore Pak and Coconut Rabdi. I only tried the first two and liked the rasmalai. It is good to see that the restaurant strongly back in reckoning. A few of the items definitely need to be looked at, but overall, I enjoyed the innovative spread and the warm hospitality and service at the restaurant. 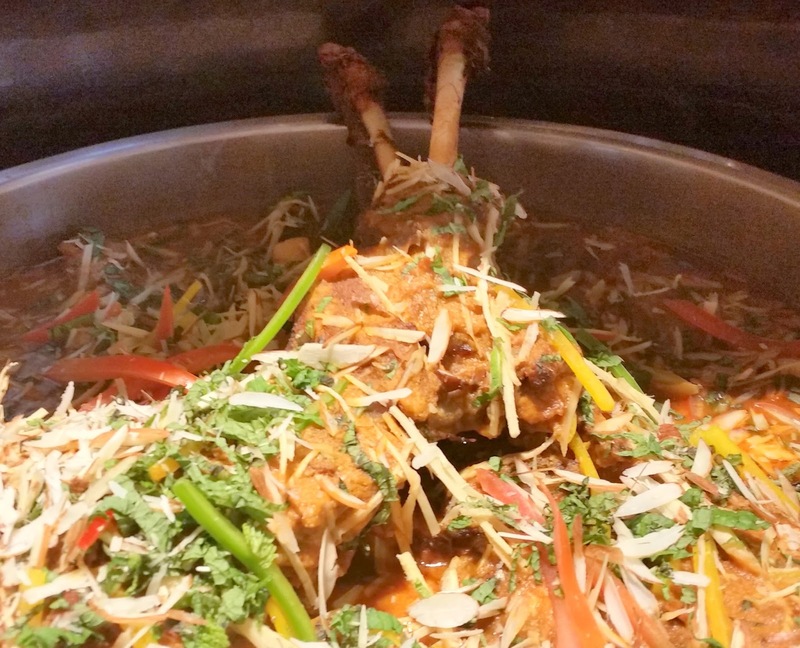 The brunch is priced around Rs 1800 inclusive of tax and with unlimited IMFL.